Today, the guidelines of „Good Manufacturing Practice“ (GMP) are the basis for any production and marketing of active pharmaceutical ingredients (APIs) and drugs. Comprehensive quality management systems document and control the production processes and environment and not least the analytical quality control. At the end of this process, vast quantities of figures and facts convey the quality and performance of the manufactured products. This is the state of the art. Practice demonstrates, however, that the analytical figures often contain even more information, which can markedly influence the “holistic“ view. Any modern and effective analysis must deliver measurement data of the highest precision, with the greatest possible sensitivity, in the shortest time span, according ­to exactly defined methods and guidelines. 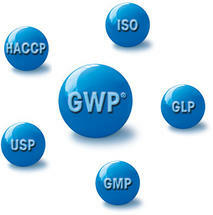 The processes are documented in every detail and must be understandable and traceable by any examiner. Nowadays, it is no exaggeration to speak of “transparent” quality control. However, the question is raised as to whether the right thing is always done, or whether the processes cannot still be improved. How else do you explain the multitude of courses and conferences offered on the subjects of laboratory optimisation (Lean Lab), “correct” validation and qualification, controlling in an analytical lab, cost and efficiency management, right to the establishment of a paperless laboratory? Factually, this means the analytical laboratories suffer more and more from an increasing workload and are looking for ways out of this situation. One of the most important points is the increasing documentation requirements. The analytic work itself is no longer in the foreground, but rather validation and verification of analytical methods, qualification of personnel and measuring instruments, and documented data analysis, such as Out-of-Trend (OOT) or Out-of-Expectation (OOE). This is also reflected in the customer or authority audits, as the analytical methods of products established on the market has hardly changed over the years. Essentially, personnel and measuring instruments were also qualified in the past; however that was taken as proven due to other criteria, e.g. 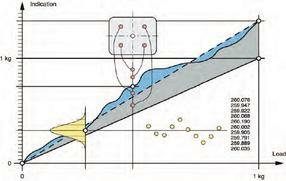 plausibility of the measurement results or just generally through analytical expert understanding. Today, every step of the work needs to be documented and, in case of the slightest deviation, at least an OOT investigation has to be instigated. These considerations are particularly time consuming, when in accordance with the ICH Guideline Q 3A (R) “Impurities Testing Guideline: Impurities in New Drug Substances”, unknown impurities at a “reporting threshold” or “identification or qualifi­cation threshold” level are analysed. If, for example, the daily drug intake is 2 g and more, the “reporting threshold” for impurities is at 0.03 % and the “identifi­cation and qualification threshold” is at 0.05 %. This becomes critical if the performance of the examination method does not allow for this because, for instance, the limit of quantification (LOQ) is at 0.10 %, or the reproducibility at the detection limit is at ± 0.08 %, which is already very good method performance data for chromatography. Practice shows that this case is no exception, and consequently work is performed with results that cannot be relied on and permit no feedback regarding, critical process parameters. Furthermore, in many cases chromatography detection methods leave questions regarding the k‘ values (capacity ratio or retention factor) of the components unanswered, because normally only the relative retention times are used for identification of the peaks. This sometimes results in the evaluation and analysis of peaks with k‘ values of < 1, which strictly speaking is not permissible; however this seems not to be universally known to the authorities either. Summarised, this means: In the worst case, an enormous amount of documented activity and results create a supposed security, which in reality does not exist. All too often it is forgotten that a chromatographic or spectroscopic impurity profile only represents a window, though which the active ingredient is seen from a specific perspective. Only the analysis of all analytical data in their entirety and in the context with essential sample information allows a targeted quality control. Particularly if it is unclear whether the prescribed synthesis paths have been adhered to, or if the transport conditions correspond to the substance characteristics, the normal routine analysis should be extended by further suitable testing methods. In practice, these are for example multinuclear resonance measurements, alternative chromatographic testing methods, in particular coupled with mass spectrography (MS) or capillary electrophoretic techniques. However, more often than not the resources are unavailable for this, or there is a lack in flexibility or knowledge of alternatives. The figures for 1,122 illegal drugs analysed in 2011, published by the Austrian Federal Office for Safety in Health Care (BASG), show how necessary this is in the age of multinational drugs [1, 2]. In 2006, there were 123 cases and in 1996 only 50 cases of detected forgeries. In Africa  or Asia the situation is much more precarious. The “China Daily” on the 03.02.2012 bore the title: “Drugs cut costs, but heighten the risks; poor cancer patients turning to Indian copies from illegal traders” and the comment of a leukaemia sufferer was printed: “If I had the money, I’d definitely buy the legal drug, as it’s more secure. Poor patients have no other choice”. This is of particular importance, because on average 1.8 million people die from cancer in China every year. 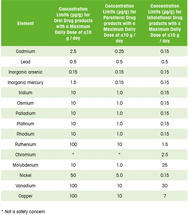 One can only speculate about the quality of the synthesis raw materials and active ingredients that are globally traded. This is easier said than done, because, apart from looking at the economical aspects, it is not easy to depart from, change or replace the methodology prescribed by the Pharmacopoeias by more effective ones, as the GMP system presents high barriers to introducing any type of change. To begin with, the new method must be entirely validated in accordance with ICH Q(2) R1 and then comparability with the established methodology must be demonstrated. This is not a problem in itself, but practice shows that the extent of this work is ever increasing. For instance, in connection with the robustness study, new elements of experimental design are now also requested, known by the expressions “Quality by Design”, “Six Sigma” or “Dry Lab”. In the past, the so-called triangle or prism model [3, 4] was used from time to time within the framework of method development, and the “robustness” was covered by an expert statement, whereas now, a plan or a programme with the respective analyses is specifically requested. The same is true for the comparability tests. and the amount of work necessary for this somewhat discouraging. Conclusion: If the psychological stress is not extremely high, new methods will remain insider information for a few experts who will only use them internally for additional safety. The general public does not benefit. Here, it would be strongly recommended that one should think about an info-portal, where, after expert evaluation, improvements or supplements to the methods could be found, that if required could quickly deliver supporting expert knowledge. Other things that only influence the work processes in the laboratory are without a doubt less spectacular, but they can also influence the efficiency of an analytical laboratory. One example of this is the weighing process. With today‘s modern scales, the daily function check, by manually placing a certified calibration weight on the apparatus, is no longer required. If automatic calibration procedures are used and the respective risk is assessed, then valuable working time can be saved without losing quality. The reality in the control laboratories is generally of a different nature. On 01.12.2012, it is finally here: The long discussion about the chapter “Elemental Impurities” <232> and <233> of the USP (United States Pharmacopeia) has closed and the amendment begins on this date with a transition period running until 01.05.2014. The former chapter Heavy Metals <231> with the calorimetric determination of heavy metal sulphides has been removed and is replaced by ICP-MS (Inductively Coupled Plasma Mass Spectrometry) or ICP-OES (Inductively Coupled Plasma Optical Emission Spectroscopy). These modern techniques mirror the state of the art and for the first time enable a selective determination of trace (heavy) metal contaminations. Until now this was impossible with mass parameter determination, which also only covered the elements lead, mercury, bismuth, arsenic, antimony, tin, cadmium, silver, copper and molybdenum. 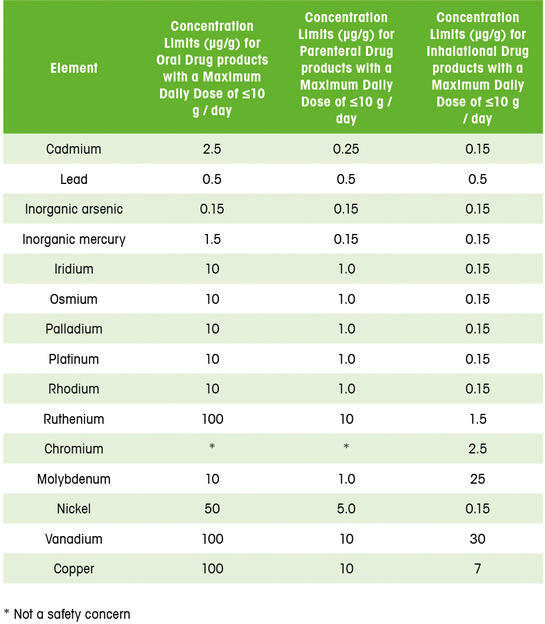 Now the list of elements to be determined has iridium, osmium, palladium, platinum, rhodium, ruthenium, chromium, nickel and cadmium added, and threshold values depending on dosage are defined for all elements (see Table 1). The methods have to be verified specifically for the substance and have to be checked every working day, using suitable reference materials. The level of additional effort connected with using the new techniques is also dependent on the choice of the analytical concept, with minimal/maximal requirements and the measurement frequency. Whether, in the future, selective recording of heavy metal pollution in the trace range will positively influence the necessary urgent improvement in drug safety remains to be seen. A modern analytical laboratory is characterised by resources that are used so adeptly that the “holistic” view is not lost in the fine details, i.e. all working procedures are continuously checked critically regarding the problem definition, the state of the art and regulatory demands. In the future, the extremely rapid development of the global market for pharmaceuticals must be even better reflected in the procedures and results of the quality control laboratories. First publication: Kunz, F. R., q&more, 1.2013.